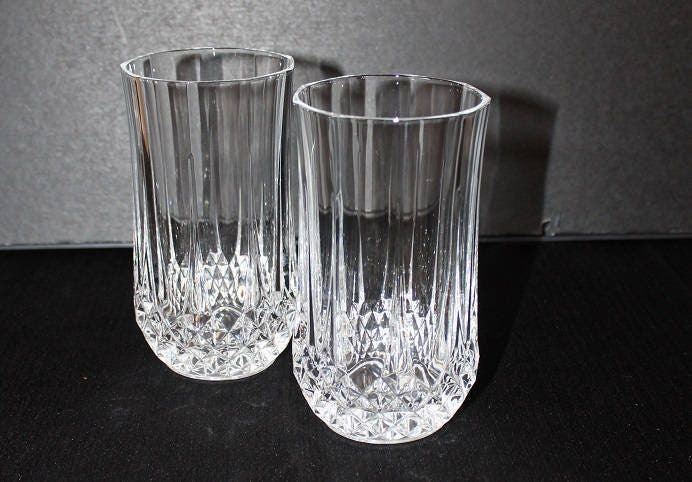 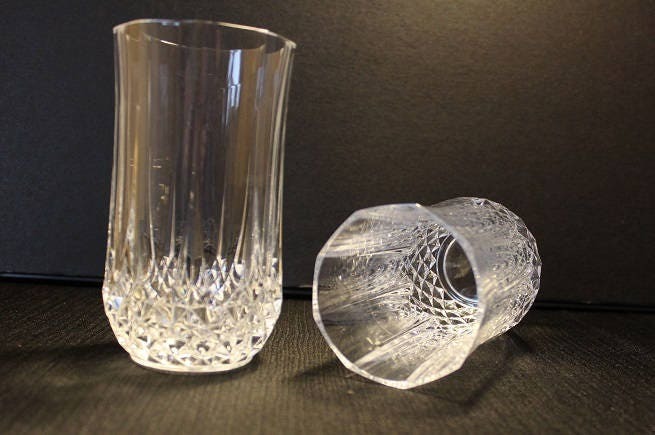 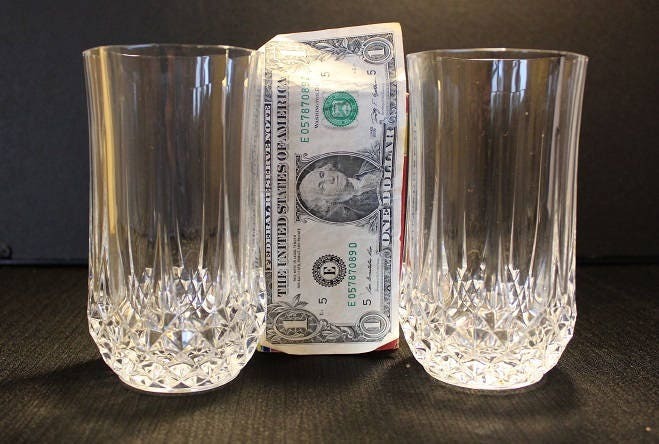 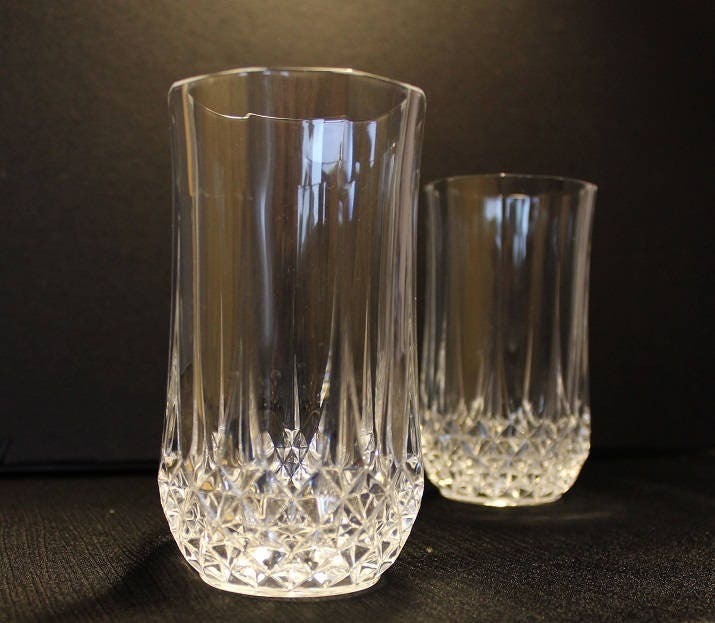 Beautiful pair of crystal highball tumbler glasses in Cris D'Arques-Durand's Longchamp pattern. 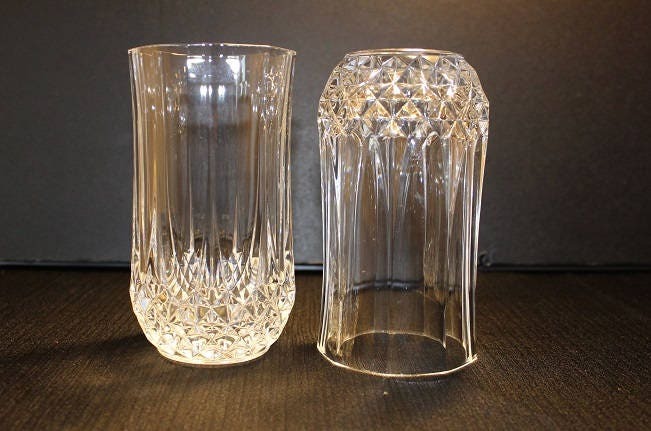 They feature a criss cross design around the bottom portion of the bowl and eight clear panels that run up the sides of the bowl. 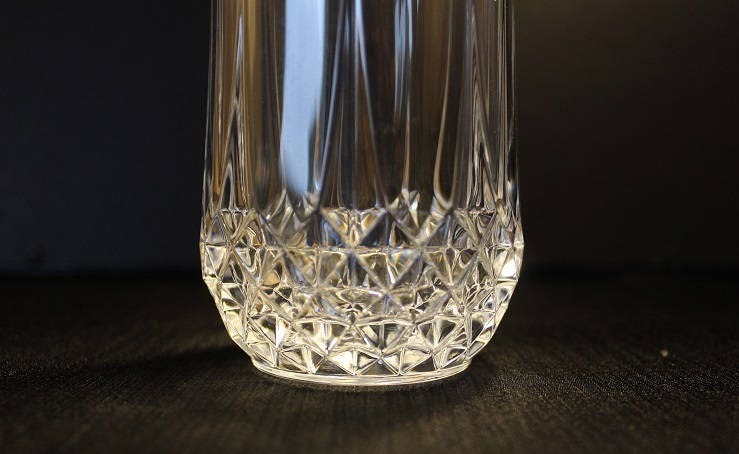 Perfect for water or that specialty cocktail.